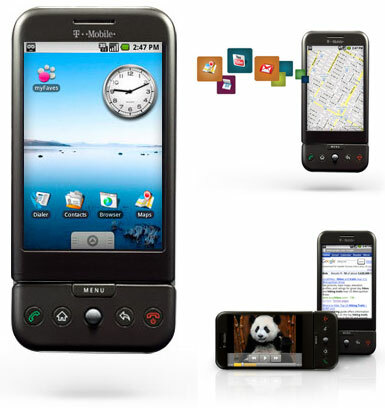 Since I decided to get a G1, I’ve been really getting into Android development. All forays into new programming languages necessitate good reference materials, and I’ve been attached to The Busy Coder’s Guide to Android Development by Mark Murphy. The book is really well written, with lots of good examples and source code, and in the few email chats I’ve had with him, Mark seems to be a really great guy who knows his stuff. One other thing I like about this book, and Mark’s company, CommonsWare, is the business model behind the book. In addition to a regular dead-tree version, they publish PDF and Kindle versions, free of DRM. These versions are available via their “Warescription”, which, for $35 per year, gives you access to all of the updates to the book (as well as any other books they release) throughout the year. They also offer a bug-bounty program, which allows you to extend your subscription for 6 months for every bug you find. 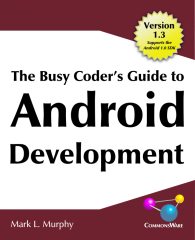 If you’re looking to get into Android development, definitely check out this book. I highly recommend it. The choice of Palin as VP could have initially been seen as an appeal to the evangelical base, to women voters, to small-town America. That argument could have been made, and while she was kept in a tightly-controlled, scripted environment, one could have almost been convinced that McCain and his party made a surprising, but effective choice of VP. Almost. But now that they’ve let her into slightly less-controlled, slightly less-scripted environments—like news interviews—it’s obvious the lack of vetting and preparation that happened. The choice of Palin was a desperate move. It’s readily apparent to even the few Republicans I know that she’s just not that knowledgeable about the issues at the core of this contest. She comes across as entirely unable of thinking on her feet, only capable of parroting the script she’s already been given. I resent being called a white-collar worker. For me, it conjures up the image of a starchy accountant or lawyer. So, I’ve come up with a better term, for those of us who do “professional” jobs, but happen to work in the creative industry (like designers, or writers, or programmers, or people who work with video or audio). And thus, I bought said phone, and I will patiently wait until October 22nd, when it appears at my door, as if delivered from the loving hands of The Great Google itself. And in my waiting, I will learn the SDK and develop applications. And it will be good. I saw Barack Obama speak at the Xcel Center in Saint Paul the night he cinched the Democratic nomination. He is truly an amazing speaker and his intelligence and ability to inspire really does give me a sense of hope for this country. I’ve never been so in awe of someone in political office in my lifetime as I am of Obama. I’ve taken a few trips out to Chicago, for both work and pleasure, managed to make my way about as far north in Minnesota as it’s possible to go, and even ventured into Winnipeg (which was a pretty depressing city, from what I saw). I moved in with the love of my life, Hannah. Things have been going so wonderfully, and I am really, truly happy with where I am in my life. Hannah and I are perfect complements to one another, and we both encourage each other to be better people. I could ask for nothing more from a partner than what she offers me. Ali celebrated her 5th birthday and started kindergarten. I can’t believe how much she’s grown over this past year… or even over this past summer, for that matter. She loves school, and is doing very well there. I’m so, so proud of her.